Reaxys empowers the chemistry research of hundreds of organizations, including world leaders in pharmaceutical and chemical development and manufacturing. Reaxys is also an integral part of chemistry research and education at leading academic institutions. We innovate by listening and learning from customers. Because we share the same goals as our customers, we ensure that Reaxys delivers the greatest value in increasingly complex and competitive industries. Researchers at pharmaceutical and biotechnology companies of all sizes discuss how the property and reaction data in Reaxys and Reaxys Medicinal Chemistry has supported their drug development workflows. Literature and physicochemical property and reaction data from Reaxys is used in chemistry workflows at major chemicals companies, R&D start-ups, patent analytics groups and more. These chemists talk about how Reaxys has supported their decisions. At universities worldwide, chemistry professors are recognizing the importance of an early introduction to chemistry research solutions for their students. See when and how they teach their students to use Reaxys. Reset Therapeutics is a discovery-stage biopharma company developing first-in-class approaches to treating diseases by restoring the body’s natural 24-hour, or circadian, rhythms. As a participant of Elsevier's Hive project, they use Reaxys to drive their work forward. Watch the video. 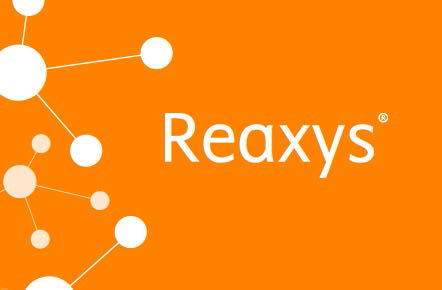 Reaxys offers a highly intuitive interface and robust database to help chemists retrieve relevant literature, patent information, valid compound properties and experimental procedures in half the time.